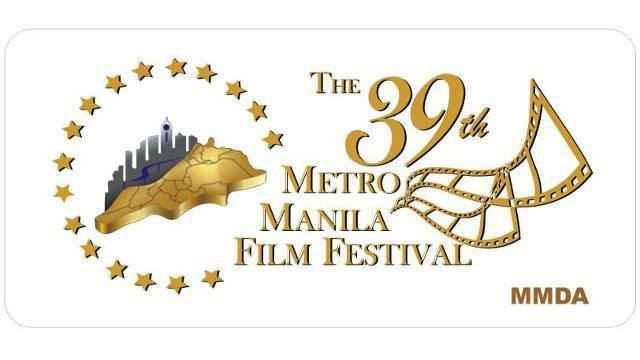 The Metro Rail Transit (MRT) will have shortened operating hours on December 31, the last day of the year. It is a special non-working day according to President Benigno Aquino III’s Proclamation 459, which he signed last 2012. MRT will revert to its regular operating hours the following day, January 1, 2014. The Light Rail Transit Authority (LRTA) has earlier announced that its trains will also be ending its operations earlier than usual on the said day. Check related blog post here. Meanwhile, the Metropolitan Manila Development Authority will not be enforcing the number coindg scheme throughout the National Capital Region for December 31 and January 1. Read more about it here. 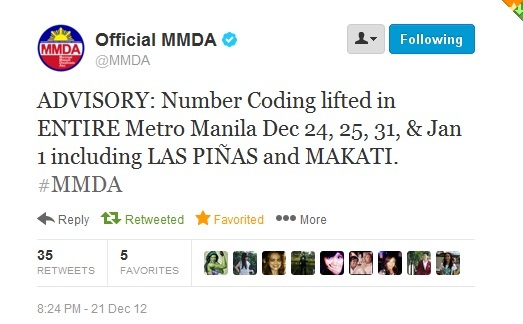 The Metropolitan Manila Development Authority (MMDA) announced through social networking site Twitter that the number coding scheme will be lifted for the coming holidays. Number coding will not be enforced on December 24 and 25 (Christmas Eve and Christmas Day, respectively) as well as December 31 and January 1 (New Year’s Eve and New Year’s Day). This covers all 17 local government units in Metro Manila, including the cities of Las Piñas and Makati. Under the number coding system (formally known as the Unified Vehiclular Volume Reduction Program), vehicles whose plate numbers that ends in a particular number is prohibited from using the main streets of Metro Manila on certain days. Read more about this program via Wikipedia. With the MMDA announcement, vehicles with plate numbers ending in 3 and 4 can travel on two successive Tuesdays (December 24 and 31) while those with license plate ending in numbers 5 and 6 can travel on consecutive Wednesdays (December 25 and January 1). 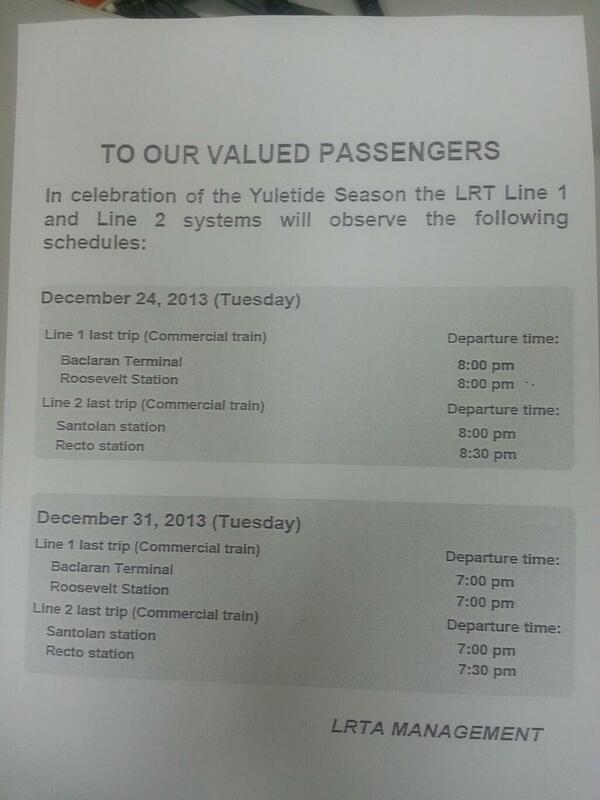 The train systems administered by the Light Rail Transit Authority (LRTA) will have abbreviated operating hours on December 24 and 31, 2013. Both Christmas Eve and New Year’s Eve has been declared as special non-working holidays by President Benigno Aquino III through Proclamation 459. 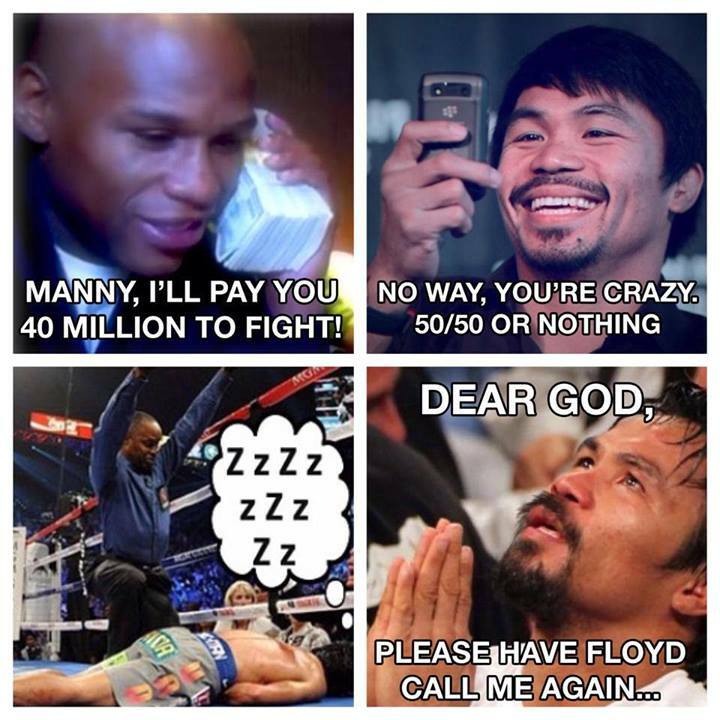 Hernando Cabrera, LRTA spokesperson, made the announcement through his Twitter account @attycabs. As noted in a previous blog post, there will be a five-day weekend as 2013 closes. It begins from December 28, Saturday, until January 1, Wednesday. December 30 (Jose Rizal Day) and January 1 (New Year’s Day) are regular holidays. December 31, the last day of the year, is a special non-working holiday. 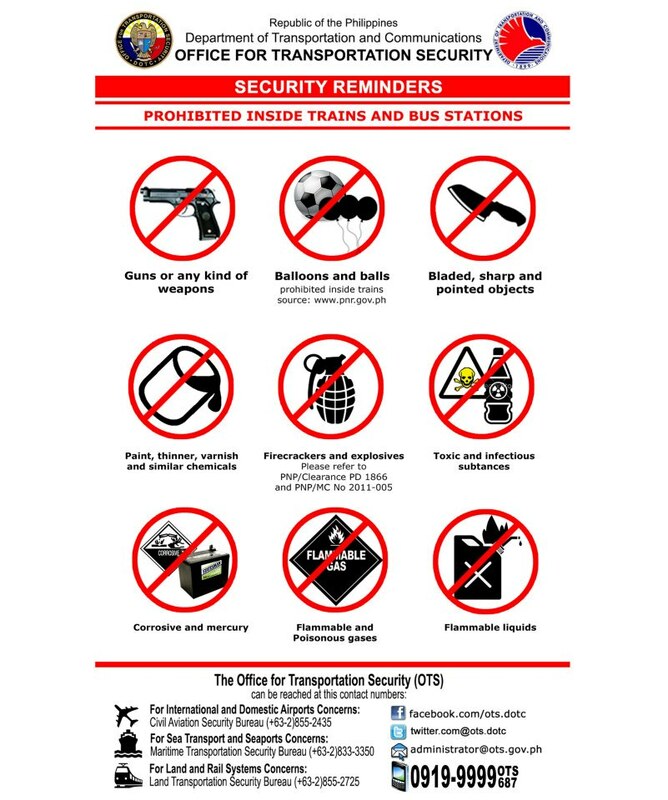 This is stipulated in Proclamation 459, which President Benigno Aquino III signed last 2012. Read The Filipino Scribe’s report about Proclamation 459 on this link. It is not unusual for some Filipinos to work during the aforementioned days, like those who are employed in the business process outsourcing industry. Therefore, it is important to keep in mind the pay rules that the Department of Labor and Employment (DOLE) set for those days. 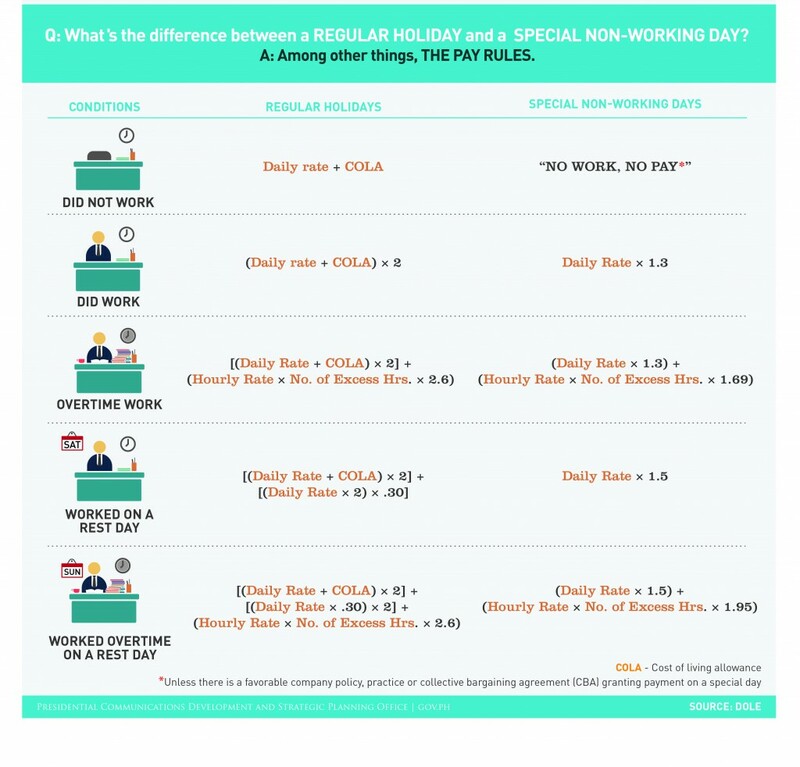 Employees who work during special non-working days are supposed to get 130% of their regular hourly rate. This is in accordance to DOLE’s Handbook on Workers’ Statutory Monetary Benefits (2012 edition). Click here to download the said guidebook. Remember that even though these benefits apply to all workers regardless of their employment status, they can only receive the holiday premium if they reported for work or is in official leave on the day before the holiday.